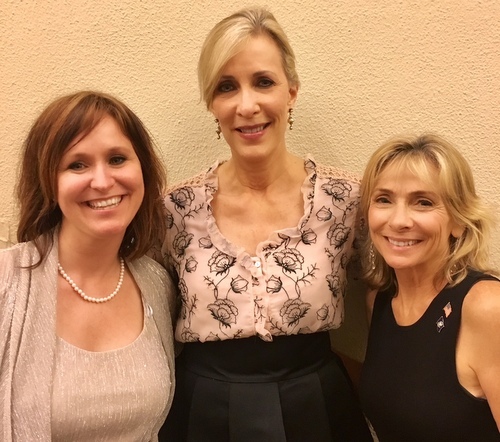 As the anti-Trump #MeToo wave sweeps across America, three Democratic Louisiana women – Tammy Savoie, Andi Saizan, and Mimi Methvin — are mounting challenges to incumbent Republican members of Congress in this year’s Nov. 6 midterm elections. A resident of Lakeview, Savoie is taking on iconic House Whip Steve Scalise in the 1st Congressional District which includes portions of uptown New Orleans and the lakefront. Livingston Parish resident Andi Saizan is up against the popular 6th District Congressman Garrett Graves. Lafayette attorney and mediator Mildred “Mimi” Methvin has targeted shoot-from-the-hip Clay Higgins in the 3rd Congressional District. According to Bloomberg, The Center for Responsible Politics found more than 500 Democratic women across the country are running for Congress and thousands more are seeking local and state positions, including former Alabama state legislator Stacy Abrams, who could become the nation’s first African-American female governor. Abrams is a familiar face to many New Orleans Democrats, having raised money in the state and addressed Democratic audiences including IWO, the Independent Women’s Organization. 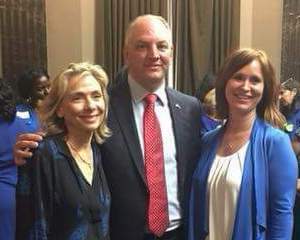 Democratic Congressional candidates Tammy Savoie (left) and Andi Sazain talk with Governor John Bel Edwards at the Baton Rouge kickoff of the Louisiana Federation of Democratic Women. (photo courtesy Louisiana Federation of Democratic Women). A renewed Democratic focus in the South could be good news for the three Louisiana women contenders who are all running grassroots campaigns. A clinical psychologist and retired Air Force Lieutenant Colonel, Louisiana native Savoie, 58, returned home last year after having served 38 years in the military, including 15 years in the Air National Guard. While stationed at the Pentagon in 2011, Savoie was deployed to Afghanistan and also served in the Middle East as the Chief of International Health for the Air Force. Savoie says that she, Saizan and Methvin are very supportive of each other’s candidacies. A native of Denham Springs now living in Holden, Saizan is a software engineer who founded Indivisible Livingston Parish “to model the values of inclusion, tolerance and fairness.” Her husband Shawn is a registered Republican and daughter Grace Martin was the only Livingston Parish student who attended the March 24 March for Our Lives rally in Baton Rouge to curb gun violence. Saizan is a gun owner (“we have big guns”) who believes in “responsible gun ownership.” Saizan also thinks that banning a certain type of firearm is not possible. 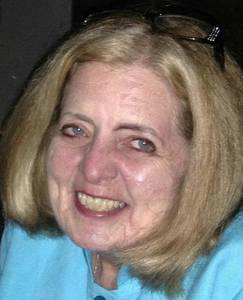 A former Ad Hoc Judge and U.S. Magistrate Judge who graduated from Newcomb College, Mildred “Mimi” Methvin, 65, hails from a colorful line of Louisiana politicians including an attorney general, a state legislator and grandmother Myrtis Methvin, Louisiana’s second female mayor. Methvin plans to make health care a key priority and push for additional campaign finance reform and will not accept donations from political action committees. Methvin already has some experience on Capitol Hill. While working her way through Georgetown Law School, Methvin was an aide to Congressman Gillis Long and stayed one year after graduation. “I worked on the Hill during the day and went to law school at night.” In the back of her mind, Methvin said she always thought about returning as an elected person. Thousands of women in Louisiana and across the country are breaking the glass ceiling as they run for office at the state, local and federal level. The women’s campaign training organization Emerge will be graduating their first class, including Tammy Savoie in mid June. More than 50 percent of Louisiana voters are female. Though the road ahead might not be easy, we should expect to see more women serving as elected officials in the near future.